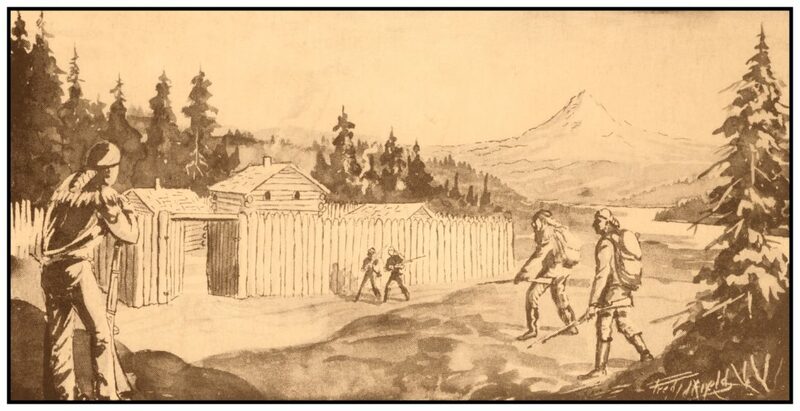 Fort Vancouver was established by the British-owned Hudson’s Bay Company in 1824 on the north shore of the Columbia River, near the confluence of Oregon’s Willamette River. It was the outpost for the Oregon Territory which stretched from California to Alaska, from the Pacific Ocean to the Rocky Mountains. 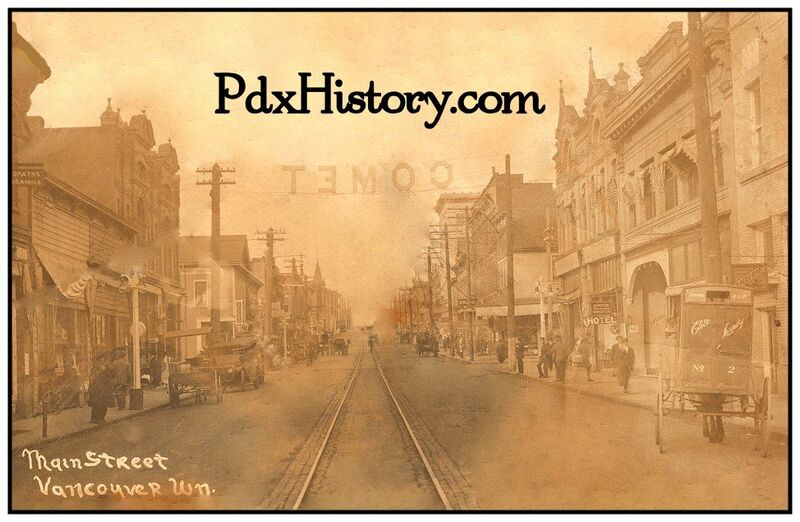 Prior to inhabitation by Europeans and Americans, the area we know of today as Vancouver, Washington was inhabited by a variety of Native American tribes, most recently the Chinook and Klickitat tribes with permanent settlements of timber longhouses. The Chinookan and Klickitat names for the area were reportedly Skit-so-to-ho and Ala-si-kas, respectively, meaning "land of the mud-turtles." William Clark and Meriwether Lewis camped there in 1806 with the Lewis and Clark Expedition. The first permanent European settlement did not occur until 1824, when Fort Vancouver was established as a fur trading post of the Hudson’s Bay Company. From that time on, the area was settled by both the US and Britain under a "joint occupation" agreement. Joint occupation led to the Oregon boundary dispute and ended on June 15, 1846, with the signing of the Oregon Treaty, which gave the United States full control of the area. Before 1845, American Henry Williamson laid out a large claim west of the Hudson's Bay Company (including part of the present-day Port of Vancouver), called Vancouver City and properly registered his claim at the U.S. courthouse in Oregon City, before leaving for California. 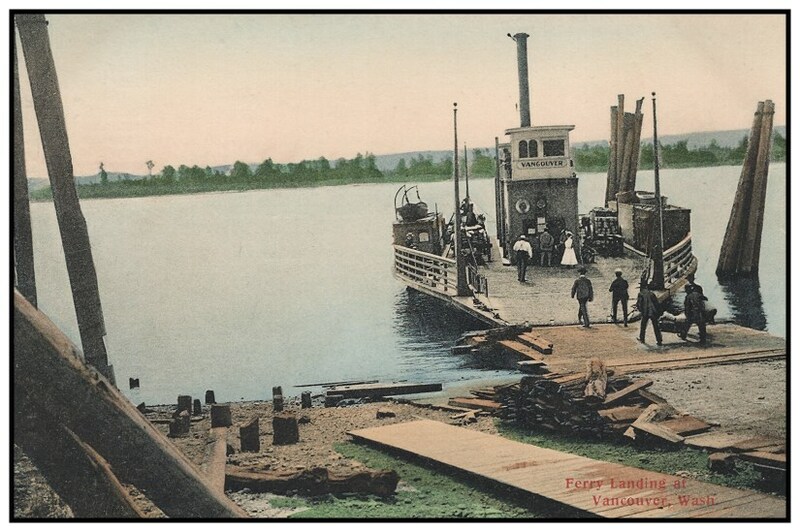 One of the first ferries began operating between Portland and Vancouver in 1846. In 1850, Amos Short traced over the claim of Williamson and named the town Columbia City. It changed to Vancouver in 1855. 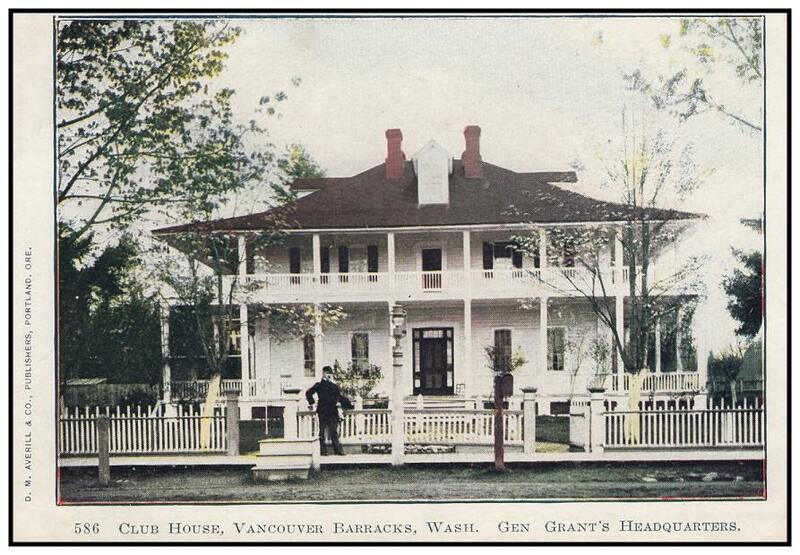 The first post office was established at Vancouver on January 8, 1850. Later that year, on December 12, 1850, the post office became Columbia City and on January 10, 1855, the post office changed the name back to Vancouver. 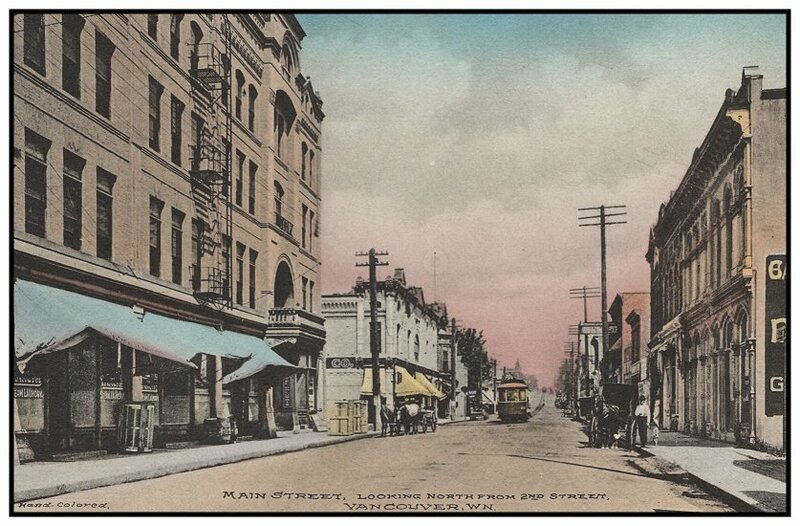 The City of Vancouver was incorporated on January 23, 1857. 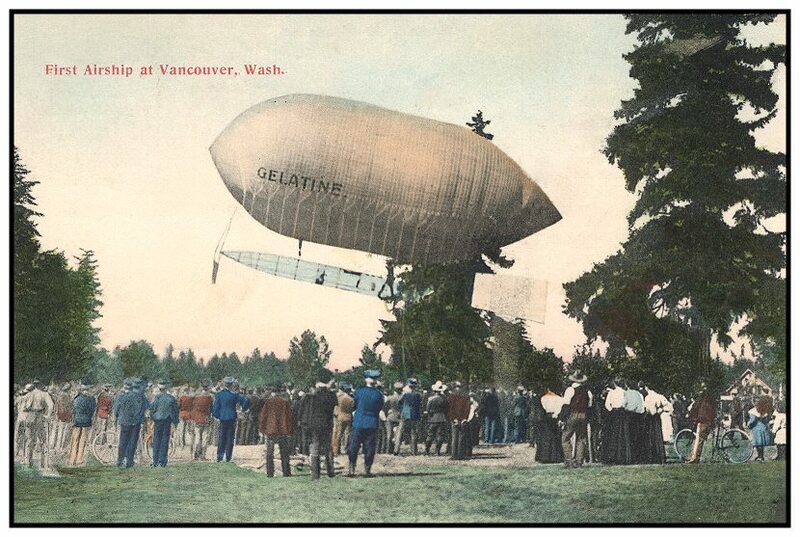 First Airship in Vancouver, Washington, which flew from the Lewis & Clark Exposition in Portland to Vancouver in 1905. 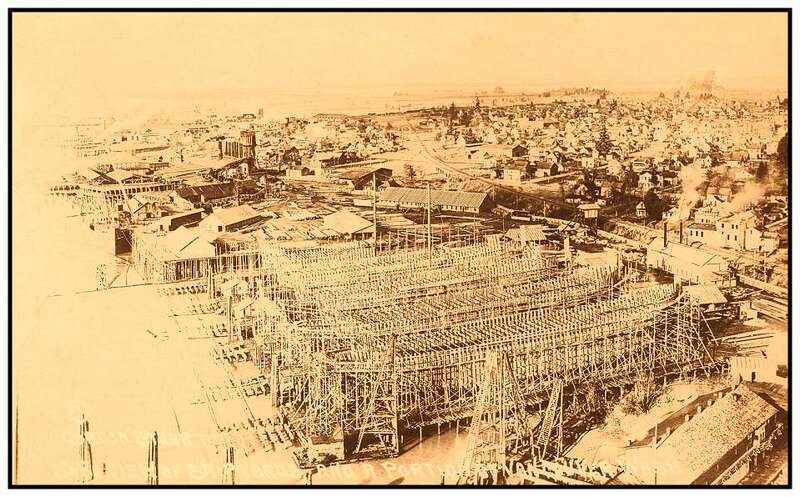 After the Lewis & Clark Exposition in 1905, Vancouver saw a tremendous amount of growth. The Northern Pacific Depot in Vancouver opened in 1908 and it is still serviced today by Amtrak trains. Main Street looking north from 2nd Street circa 1911. 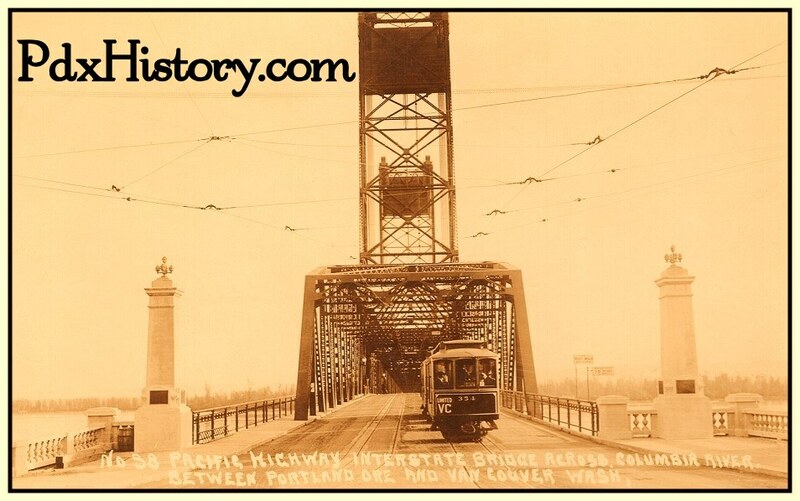 Vancouver was separated from Oregon until the Interstate Bridge opened in 1917. 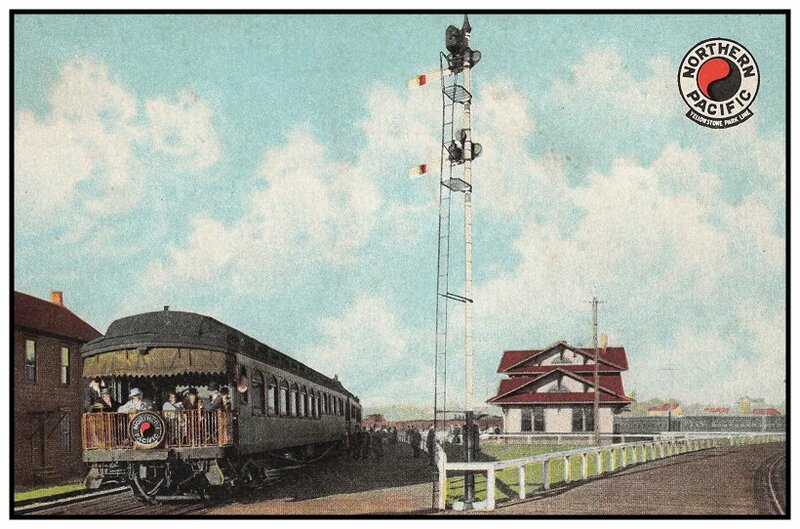 Soon thereafter, the ferries ceased to operate after streetcar service was inaugurated between Portland and Vancouver. Vancouver had three shipyards which produced ships for World War I. The new Interstate Bridge can be seen in the upper left. Photo from 1918, copyright Gordon Stuart. Vancouver became the end point for two ultra-long flights from Moscow, USSR over the North Pole. 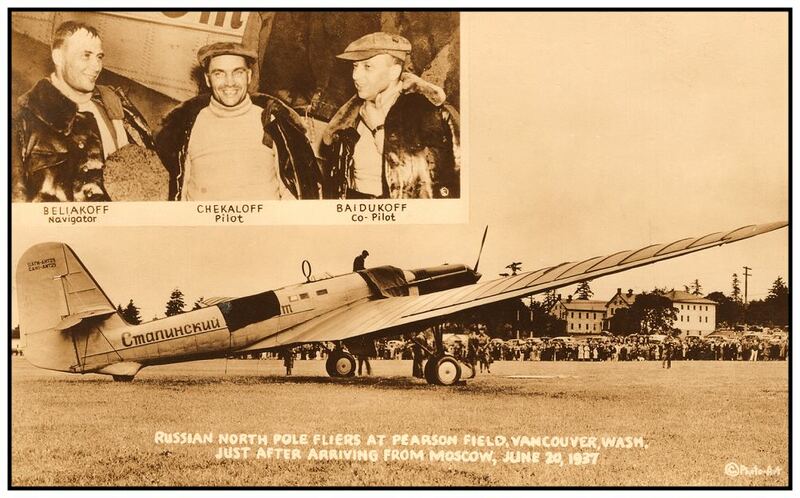 The first of these flights was performed by Valery Chkalov in 1937 on a Tupolev ANT-25RD airplane.